Kerbal Space Program 1.4.2 is live! * Variants now support multiple drag cubes. These are calculated automatically on a per-variant basis. * The Mk1-3 Pod reaction wheel EC cost has been reduced for consistency with other parts. * Fix centering on the Rockomax Jumbo-64. * Tweaks to the EVA parachute shader and texture. * Fix kerbals thinking they’re still on a ladder if they get knocked off at high speed. * Fix players not being able to quicksave when knocked off a ladder at high speed. * Fix parachute being loaded in at 1.25x the normal size when controlling a kerbal. * Fix player not being able to repack parachute if they rag dolled with the parachute deployed while hopping across the landscape. * Revised EVA parachute model and shader. * Fix kerbal being able to repack chute in the air while performing recovery maneuver. * Fix surface FX appearing when landing legs deployed even when not on the ground. * Fix LT-1 landing legs clipping the ground. * Fix to the loading screen getting stuck between scenes infinitely in some cases. * Fix contracts app icon to use it’s icon - not the new Missions app icon. * Fix switch editor button to check facility is open before switching. * Fix switch editor function to not load backup when all parts on existing vessel have been deleted by the user. * Fix switch editor symmetry setting. * Fix tourist contracts not completing correctly and messages for tourist contracts causing NRE and infinite rewards when failing. * Fix contract parameter completion to catch errors and contract parameters now log info messages when their state changes. * Fix UI layering for Debug menu. 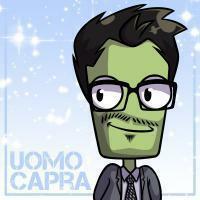 * Fix the camera IVA Overlay persistence between camera modes. * Fix NRE spam when vessel destroyed and gameobjects disappear while doing FX. * Fix icons in map overlapping over the Apps dialogs. * Fix NRE  spam when launching a vessel on the Island Airfield. * Show node type icon in the node header of all nodes in the Mission Builder. * Node category color defaults amended. * Improve CPU Load performance when placing nodes on canvas. * Awards display now doesn’t overflow with long texts and improved awards UI design. * Allow zoom in Mission Builder canvas to go down to 20% - can also be reduced more via settings.cfg. * Can now delete nodes and connectors in the builder canvas with the backspace key (in addition to the delete key). * Add mission difficulty setting to allow/disallow vessel recovery in a mission (default - disallow). * Add ability to go to vessels on LaunchPad/Runway when clicking the Launchpad or Runway in a mission game. * Add kerbal killed node. * Upgrade difficulty setting for missions in the Briefing to a slider. * Stock missions improved (see missions section below). * Node expand/collapse button now only appears on Node headers when applicable. * Starting funds now has a text field and slider for setting the value. * Change vessel viewer in Mission Builder GAP to function like the VAB/SPH camera. Can be toggled via settings.cfg. * Change Filters in vessel viewer to completely hide/show parts rather than changing their opacity. * Change mission briefing dialog at start of mission to max-size the text. * Fix disabled shrouds on parts reappearing when changing vessels. * Mission meta files now support localization. This indirectly also solves an issue where the expansion folder was not being removed when uninstalling the expansion. * KSPedia fixes: Localized all images in the Making History section of the KSPedia. Added missing text to Chinese pages. * Fix localized text for resource name on vessel resource node. * Translations for GAP descriptions. * Fix for certain pinned nodes coming up unlocalized. * Fix missions not supporting non-ascii languages for mission names. * The Mk2 Pod reaction wheel EC cost has been increased for consistency with other parts. * The Wolfhound engine is now properly centered. * The truss sections of the 5m fairing and accompanying nodes are now scaled correctly. * Add IVA window cameras to new command pods. * Fix revert to last build/editor session in missions not always saving and therefore not allowing revert. * Fix saving mission when entering mission difficulty settings. * Fix checking values on time control parameters. * Fix date handling greater than 235 years. * Fix orbit parameters when minimized in node display in the Mission Builder canvas. * Fix spawning orbiting vessels in missions in some circumstances causing explosions. * Fix vessel restrictions not updating in Missions App in VAB/SPH when loading a new craft file. * Fix hovering the mouse on slider parameters in the SAP preventing the user to continue scrolling. * Fix copy-pasted nodes that spawn things not having unique IDs. * Fix handling of newline and tab in message nodes to display correctly when playing a mission. * Fix vessel resource amount node to work with unloaded vessels. * Fix Orbit Parameter and Orbit node value sliders and max values. * Fix Start Node activated time being always 0 UT, even when the mission was set to start at a different UT. * Fix Vessel Naming to set default type to be the parts default type. * Fix for vessel naming changes not updating ship name in editor scenes. * Fix node position not been saved when moving groups of nodes. * Fix mission not progressing when loading a create vessels node checkpoint when testing a mission. * Fix node name changes not being updated when loading checkpoints when testing a mission. * Fix music not playing after resuming a mission being played that was last closed in the VAB/SPH. * Fix arrange nodes function to rescale the canvas correctly so nodes do not go off the edge. * Scale node line connectors at low zoom levels so the lines can be seen. * Fix node connector lines not aligning correctly when parameters are pinned/unpinned. * Change key-combo for Copy Paste in the builder to Cmd-C, CMD-V for OS-X. * Fix import mission zip extract method for Unix based systems. * Fix Vessel text to correctly identify Active vs Any vessel. * Fix node connector pin buttons triggering drag. * Fix Orbit node to support correct accuracy testing. * Fix event node and objective hiding so these get hidden from players. * Fix end mission dialog coming up over a dialog message node that is set to pause the mission. * Fix vessel viewer filters in Mission Builder GAP to switch off colliders so player can select parts inside other parts. * Fix when selecting new or load mission in the Mission Builder with a node connector being selected breaking the Mission Builder. * Fix the Take Kerbal node not triggering correctly after switching vessel in some cases. * Fix the LAN orientation to match the Mission Editor in the Orbit node. * Fix the loading screen sometimes getting locked after transitioning between scenes. * Fix orbits sometimes getting rendered over the Mission Editor canvas after loading the tracking station or flight scenes. * Added missing end conditions. * Improved instructions with better hints. * Improvements in the objective lists in all launches. * Fix scoring for destroyed jebnik 1 in atmosphere. * Extra test for checking if the wrong kerbal has boarded. * Fix the explosion sequence. * Fix a Time Since Node for the second Goo Experiment not working correctly. * Fix the objective list not updating correctly in the second launch. * Fix craft not exploding. * Low fuel message now appears in the second launch. * Fix orbit accuracy parameters having incorrect values. * Fix splash down not triggering successful mission. * Added 3 tons to the mass limit. * Changed the values for the fuel efficiency bonus. * Fix Time Since Node in splash test had an incorrect value causing a 5 min wait for the mission to complete. Hopefully my fav mods survive. Im gonna need a autoclick thing to get through all the Mini AVC. eek. Had to download a mod, then saw the alerts for all my mods being outdated, this gave me a heart attack. Hope things are still compatible, looks like they will be. Its just bug fixes... What could possibly go wrong ? I feel so bad for @linuxgurugamer rip. 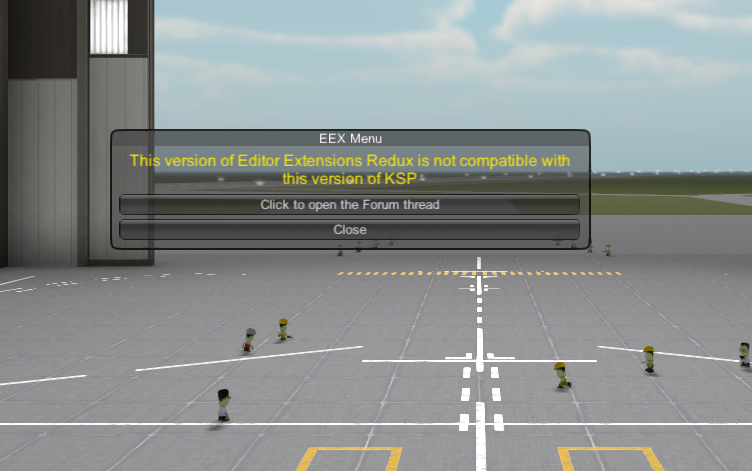 Probably won't change the mods much, but he'll have to rename them and change the versions for Editor Extensions Redux for example, because doesn't work in any other version besides for the one it was released for. Always amazed by the dude, over half of my mods are maintained by him. Oh great Jebediah Kerman. The poor guy. He's one of the few mod devs i haven't accidentally insulted, (don't ask). Doesn't he keep like 130 some mods alive? Now you tell me >.< Guess i gotta visit the configs. I checked, its not in there, its in the .DLL sadly. Maybe i can take a crack at the source code if there is any. Version file editing seems to have helped. That's good, kinda surprised that it got through. It worked before the MH update so ill have to get beck to you on "if it's actually ok" BUT! Most mods have a thing called a VERSION file. This can be edited with notepad, and if you change a few 1s to 2s all should be well. Maybe. Not so sure anymore. Please don't. The last time someone tried, they released a broken version. I'll get this updated first, this evening. Ah thanks a ton, I wont touch anything. You're the best, man! I think he's using a script, or possibly that @linuxgurugamer is a script, or rather an AI construkt. Ill live dangerously for a few hours. But thanks for the speedy reply. didn't work as planned. Things exploded. So. Woops. Um. @linuxgurugamer Create a scientific study that tests the effectiveness of a pill meant to prevent the placebo effect. Several problems persist after this patch. Here's to a speedy update to 1.4.3 after their holiday. I guess you think I wrote that message for my health. Oh hey, they fixed the broken normal maps on the KV pod IVAs; nice! ...looks like the one for the black+white Rockomax tanks is still hosed though. Also the new structural panels. Also they accidentally blanked the alpha channel on the Rockomax tanks' diffuse maps when they converted them from .png to .dds. Also there's still a 2048*2048 DXT5 texture that does nothing but make the tiny featureless rectangular orange lamps in the KV2+3 pods glow. He's doing miracle on our most beloved mods, but he's not normally expected to do your dayjob as well. Guess ill be adding you to my "Mod Dev's Accidentally Insulted" list. Have fun with 1.4.2 guys. Im gonna go back to trying NOT to annoy people and SSTO flying practice. Its a joke. How would you make a test for the placebo effect, that controls for the placebo effect? Meh don't worry really. I'm willing to help @linuxgurugamer. I feel miserable for him. Put me to work! I want to help! Assign me some stuff. Coding student at Uni, so i should be able to help! *whistles* dem’s a whole lotta fixes. Thanks for the hard work Squad! Tests for placebo effects are common, mainly by behavioural psychologists, social anthropologists and librarians. Yeah I probably worded it wrong. There's some good paradox involving it in sorta that way. Mind if I also help finding things?